VietNamNet Bridge – Viet Nam needs tools to calculate damage relating to climate change impacts to improve natural disaster response and mitigation work, deputy minister of Agriculture and Rural Development Hoang Van Thang said yesterday. Speaking at a workshop on climate change impacts in Viet Nam organised by the ministry and United Nations Development Programme (UNDP), Thang said loss and damage valuation included identifying climate change’s negative impacts on socio-economic development, economic and non-economic losses, resettlement, permanent loss, restoration, insurance, social welfare and compensation. According to the Global Risk Index 2017, Viet Nam ranks among the top 10 countries affected by the impacts of weather-related events. Since the 1970s, disasters have caused more than 500 deaths annually in Viet Nam, and cost more than 1.5 per cent of GDP in economic losses. These costs could well rise to 3-5 per cent of GDP by 2030. UNDP Deputy Country Director Akiko Fujii said that while the term loss and damage was commonly used in Viet Nam, global good practices emphasised that a country like Viet Nam should plan and account for future losses and damage too. “Recent evidence of extreme drought and El-Nino in 2015-2016 suggested that millions of Vietnamese farmers were affected greatly and the country’s economy was equally affected. 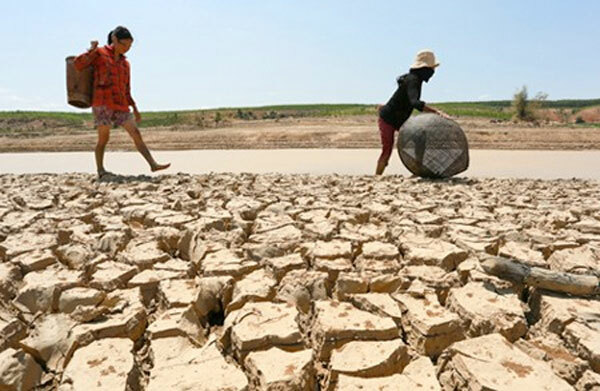 If no mechanism is used to deal with long-term climate patterns, the social and economic development gains in Viet Nam will rapidly diminish,” she said. It is important for Viet Nam to identify a rigorous methodology to assess and understand climate losses and damage. A full understanding of both present and long term future climate risks was essential to help government and stakeholders plan and adjust policies to reduce losses, she said, adding that the country should have an inter-ministerial working group to collaborate on climate data and modelling and improve climate risk analysis. Lu Ngoc Lam, head of Information and Communication Department under the Water Resource Directorate, said by 2010, Viet Nam experienced 11 types of natural disasters but since 2014 when the law on Natural Disaster came into effect, there were 19 types of natural disasters including floods, tropical storms, drought, hail, landslide, saltwater intrusion and strong winds. The natural disasters have become more and more powerful, resulting in more serious consequences. On October 20, 2013, HCM City was hit by a high tide with peak of 1.68 metres, the highest in 68 years. In late 2014, 18 provinces in south central region and Central Highlands suffered from serious drought and saltwater intrusion. In January, 2016, frost hit northern region and north central regions for a month while between October and December, 2016, heavy rains hit central provinces. “Impacts of extreme weather are bigger and bigger as Viet Nam is experiencing increased population and economic growth,” Lam said, highlighting the country’s limitations in forecasting ability, staff, infrastructure and communication relating to climate change. According to the Department of Public Expenditure under the Finance Ministry, from 2016 to 2020, Viet Nam plans to spend VND15.866 trillion (US$6.95 billion) for the National Target Programme for Climate Change Response and Green Growth, of which, VND15 trillion comes from overseas development assistance.